A Video showing how to activate the class time column that is in the S-Sheets. Read more below. 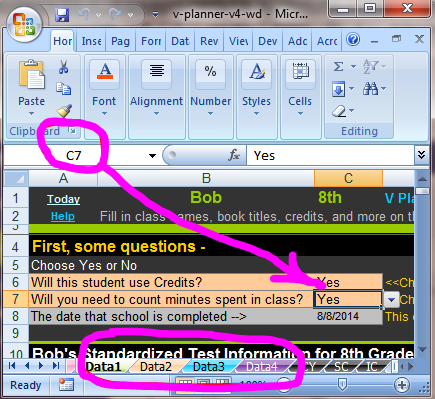 The time column is activated for each student or for the high school student at the various numbered Data# worksheets in cell C7.